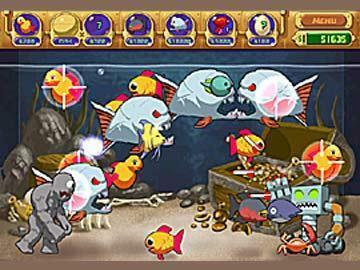 Insaniquarium Deluxe Virtual Pet Fish and Insane Aquarium! 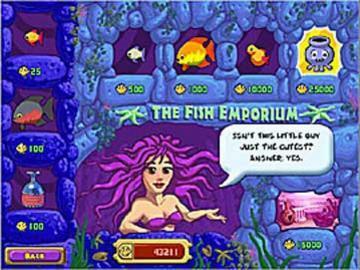 Virtual Pet Fish and Insane Aquarium! Feed fish! Fight aliens! Collect coins? It's the craziest aquarium you've ever seen in this spectacular action-puzzle adventure. 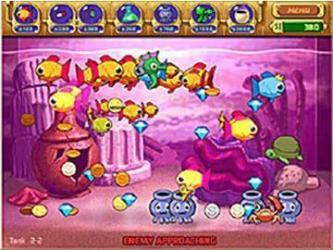 Adapted from the hit web game, Insaniquarium Deluxe features 20 all new levels in 4 unique tanks. Buy fish, upgrade your weapons, and unlock secret pets as you explore this captivating underwater world. Then stock your virtual tank with fish to create your own personal screensaver! But, watch out! Seafood-loving aliens have their eyes on your school and it's up to you to keep them safe. It's not crazy - it's insane! Plenty of ruthless new extraterrestrial boss beasts.